Yiwu Boka Garment Co., Ltd.
Women Oem custom fashion tracksuit / sweatsuit, sports tracksuit, workout tracksuit, gym sweatsuit, street fashion tracksuit with custom logo branding We provide high quality Products:- 1. Product: Custom Tracksuit / Sweatsuit 2. Gender: Women 3. Fabric: Polyester / Cotton / 100% cotton / 100% polyester and cotton spandex and many material composition material available. 7. Stitching: High standard stitching 8. Pressing: we check the quality before pressing 9. Color: Many color available 10. Packing: 1 set individual polybag 11. Services: OEM / ODM Accepted 12. Shipping: Door to Door 13. Branding : We offer custom brand labels, tag cards etc. Detailed Images Production Flow Sublimation Printing, Screen Printing, Embroidery Stitching Pressing & Packing Department:- 1. We have strictly quality control management in our factory 2. We check the quality before pressing, packing 3. We check the quality before Shipping 4. Quality Products, good price on time delivery Good service is good business I.
Jiangxi Kaimei Garment Co., Ltd.
Quality guarantee Perfect and strict production process to ensure the high quality and In time delivery. 1, More than 10 years experience in customized clothing, can guarantee to offer you high quality clothes with competitive price. Charges depends on your good's weight, volume and the destination you are going to arrive. (2) Can print logo on raincoat as client's requirements. (4) Our raincoat can comply with the new European standard. (5) we are profession raincoats manufacture,we can produce according to the customer's requirements. We can design some styles according your idea, the design is free if you place the order follow. Besides we can offer you the production of most fashion models in the market . 3. How to get a sample9 We could send you the samples but the samples are charged. shipping by sear, by air, by dhl/ups/ fedex etc. Nanchang Faouen Garment Co., Ltd.
Winsir Industry (Shanghai) Co., Ltd.
Dongguan Xingfeng Garments Co., Ltd.
Nanchang Livestar Clothing Co., Ltd.
Model number: B33001A MOQ: 5 pcs Size: S-M-L Color: black/gray Season: autumn/winter/spring/summer Our website: Detailed Image Packing & Delivery Custom packaging One piec into a polybag. We have a great team for design and new models,pls show your ideas or drawing design, we can make the exclusive products for you. We have enough stocks of the products in our website,can arrange and ship to you asap if you need the stocks. Dongguan King Young Apparel Co., Ltd.
We hope to cooperate with more customers for mutual development and benefits. High efficient linkage of these mills can afford a completely controled delivery and cost. 3.What is the OEM procedure 9 1) Receive design files or sample from clients. 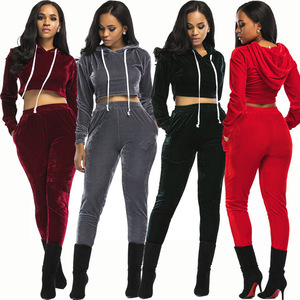 Yiwu Yuewei Import & Export Co., Ltd.
Dongguan City Fit&Red Textiles And Clothing Co., Ltd.
Alibaba.com offers 2,952 sweat pants sets products. About 48% of these are training & jogging wear, 21% are fitness & yoga wear, and 3% are women's trousers & pants. A wide variety of sweat pants sets options are available to you, such as free samples, paid samples. 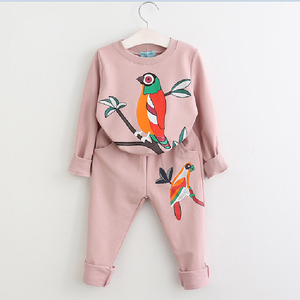 There are 2,956 sweat pants sets suppliers, mainly located in Asia. The top supplying countries are China (Mainland), Pakistan, and Taiwan, which supply 66%, 32%, and 1% of sweat pants sets respectively. Sweat pants sets products are most popular in North America, Western Europe, and Eastern Europe. You can ensure product safety by selecting from certified suppliers, including 153 with Other, 48 with ISO9001, and 19 with BSCI certification.